Father Iustin Petre, one of the founders of the Casian Monastery and the man responsible for the wind turbine and renewable energy at Casian. You could call Father Iustin a pioneer. He installed a wind turbine long before the hundreds that you can now see from this hill appeared. He was the first monk in Constanta region to power his monastery with renewable technology and now he gladly advises other monasteries to do the same. It is quiet up here. Birds float on the wind over a landscape that would be at home in the Mediterranean. A small child’s toy spins on a post and even the cats and dogs that inhabit every Romanian scene are friendlier. Letting one’s eyes drift across the landscape, it is impossible to miss the forest of wind turbines that surround Casian. 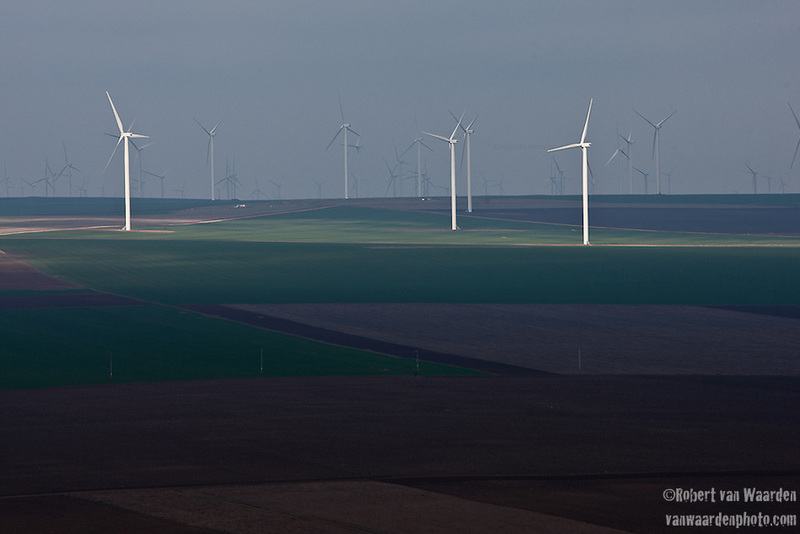 The largest wind farm in Europe, Fantanele–Cogealac, is everywhere. The hundreds of wind turbines might put some people off, especially at night when the aviation warning lights flicker, synchronized, like a ghost city. But Father Iustin likes them. The 600mw Fantanele-Cogealac wind farm in Romania as seen from the Casian Monastery. He was way ahead of the game. 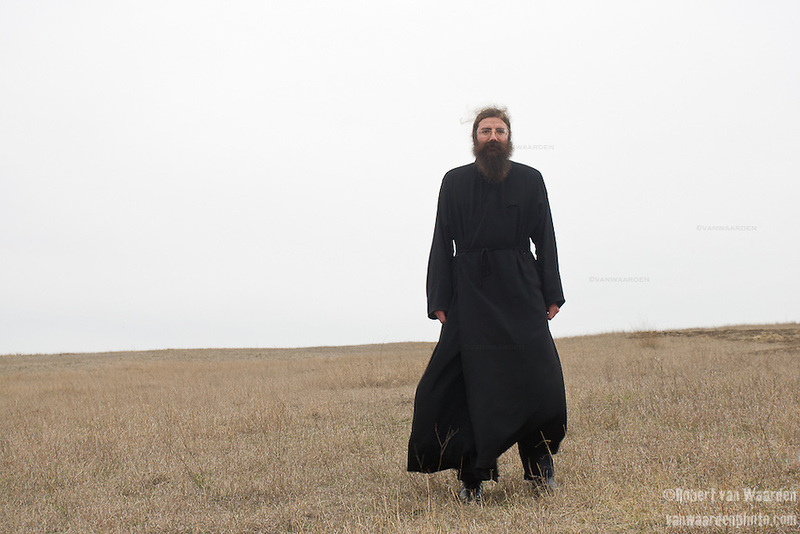 Before this 600MW wind park changed his view, Father Iustin had already tapped into the wind resource here. Around 10 years ago, Father Iustin started looking for a solution to the monastery’s energy problem. Connecting it to the grid was not an option, as that would have cost tens of thousands of euros. The obvious solution was to build a wind turbine. With the help of an old truck alternator, Father Iustin and the monks built the first solution to their energy problems. That first turbine has long been replaced. In its place stands a new 2kW wind turbine made in China. It spins practically all the time, casting its shadow towards the solar array that forms the base of the renewable system at Casian. Father Iustin says it is so windy here that a gust sometimes breaks the wind turbine, forcing him to replace or repair it. Father Iustin Petre prays during service. Father Iustin is very happy with the whole renewable energy system at Casian. It supports the lives of the 5 monks at the monastery, powering their fridges, washing machine, stove, lights and one laptop computer. Perhaps most importantly, it powers the water pump that is responsible for pumping water 150m vertical meters from the well. This monastery is built on the site of the birthplace of Saint John Casian, a man whose writings helped define the base and practices of Monasticism. There is a cave here that draws pilgrims. In that cave is an icon of Saint Casian, the wind turbines reflecting in the glass. Somehow it seems that Casian approves. 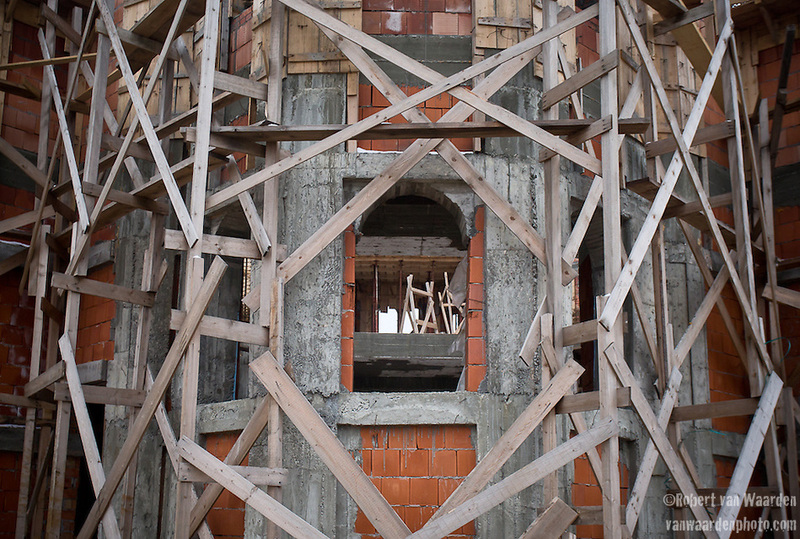 The new church that is being reconstructed at the Casian monastery in Romania. On Sundays the faithful come to the Monastery for lunch and to worship. There are often more people than the monks can handle in their little church so they are building a bigger one. Construction relies on donations and for the moment, “she grows very well,” says Father Iustin. It certainly helps that they can use power tools and cement mixers, which are indeed powered by renewable energy. At least 10 monasteries in the area have followed in the footsteps of Casian and have some sort of renewable energy system. To Father Iustin it is clear that the wind can provide. 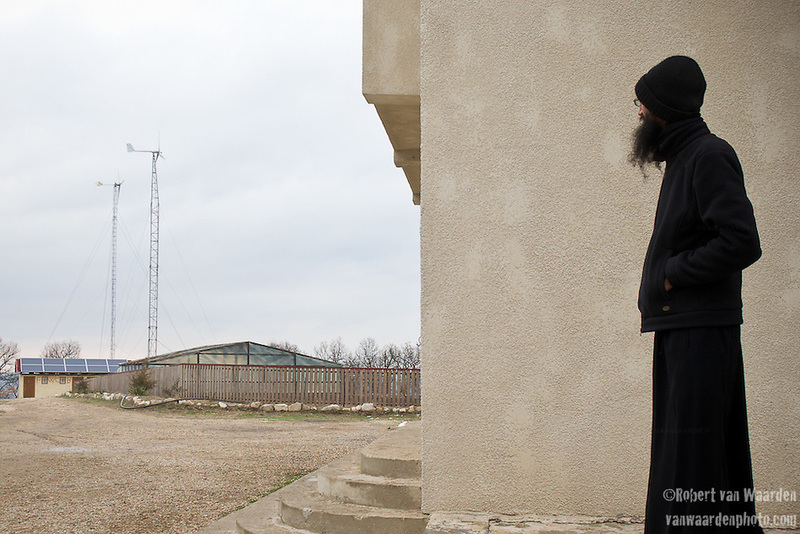 A monk at the Casian Monastery in Romania looks at the two wind turbines that are installed as part of the renewable energy system.